European Council chief Donald Tusk used a quote by John Lennon from The Beatles to tell the UK that it could stay in the EU if it decided to do so. 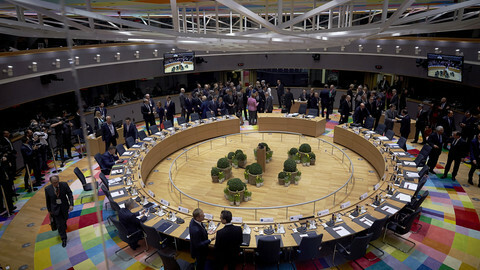 "Some of my British friends have even asked me whether Brexit could be reversed, and whether I could imagine an outcome where the UK stays part of the EU,” Tusk said in a statement before the EU summit on Thursday (22 June). "I told them that, in fact, the European Union was built on dreams that seemed impossible to achieve. So, who knows? You may say I'm a dreamer, but I am not the only one,” Tusk said, quoting the lyrics from Lennon’s solo song Imagine. 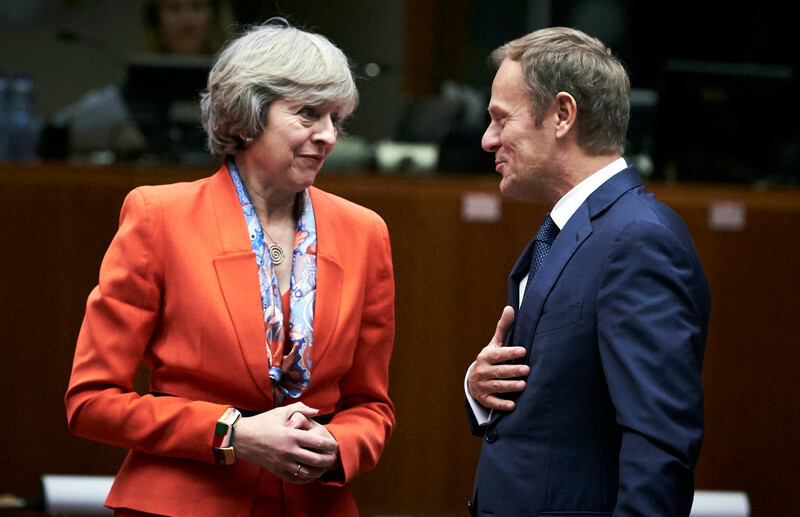 Tusk used the first summit since the beginning of the Brexit talks earlier in the week to extend a hand to May, whose government had been weakened after it lost its majority in the UK general election earlier this month. But not everyone sounded thrilled by the "idea". “We have to respect the choice of the UK, and we will negotiate and we will see how it is possible to keep smart cooperation on the different issues,” he added. Article 50, the EU's exit procedure, does not say what happens if a country that has already launched the process changes its mind. An EU source said the council does not have an official legal opinion on whether Article 50 is reversible. Xavier Bettel, Luxembourg’s prime minister, noted that May has not emerged stronger from the snap elections. “They [the Tories] have internal fights, but this is a question to be resolved in London, not here in Brussels,” Bettel said. “The doors are still open. 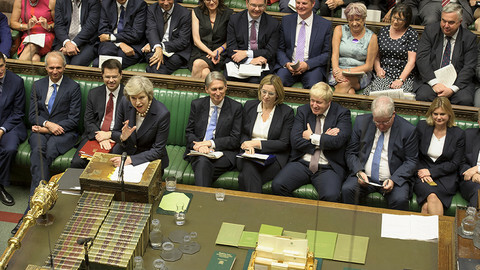 […] I’m not dreaming about situations, [but] maybe when they [UK] now see all the consequences," Bettel said, adding "they took nine months to write a letter," referring to the time it took for the UK to submit the article 50 notification. Tusk later clarified his comments at a press conference during the summit. "Politics without dreams would be a nightmare, miracles do happen,” Tusk said, explaining his Lennon comments. “This is maybe the best part of politics, that everything is possible. But I am realist and this is why we should start negotiations as effectively as possible. 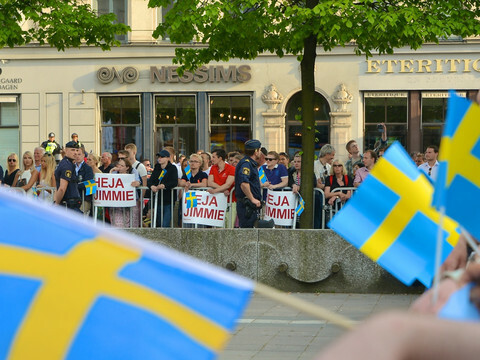 The final decision is for UK citizens,” Tusk said. In an interview published on Thursday, Emmanuel Macron had a message for the eastern European states before his first summit appearance as French president. He said these countries too have to respect democratic values, adding that he did not believe in "a conflict between East and West in Europe”. "Europe isn’t a supermarket. Europe is a common destiny. It is weakened when it accepts its principles being rejected,” Macron said in the interview. "The countries in Europe that don’t respect the rules should have to face the political consequences. And that’s not just an east-west debate,” he added. During his campaign, Macron had already said countries such as Poland and Hungary should be sanctioned for not cooperating on refugees and respecting European values, which led to outrage in Warsaw. On his way in to the summit, Hungary’s prime minister, Viktor Orban, a veteran of EU summits, told journalists that Macron “is a new boy, this is his first summit”. “His entree is not very encouraging, because he thought yesterday that the best form of friendship is to kick into the eastern European countries. This is not the tradition here, but he will learn,” Orban added, referring to Macron's interview. Macron and the prime ministers of the Visegrad Four group - the Czech Republic, Hungary, Poland and Slovakia - will meet on Friday morning. Apart from the issue of European values, Macron and the easterners also clash over the question of posted workers, where the French president wants to push for higher wages - which eastern member states oppose vehemently. Where might Macron clash with Europe? 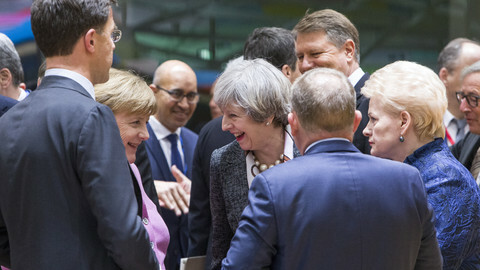 The British PM will try to calm EU nerves over her fragile cabinet, as EU leaders discuss Brexit, migration, security, defence, sanctions and trade at the two-day summit. 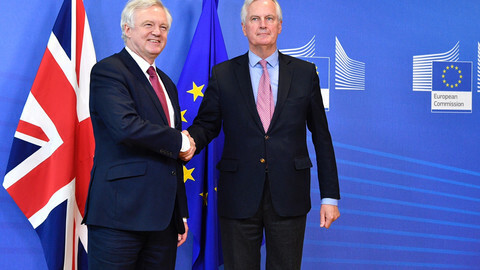 In their first meeting, the EU's Michel Barnier and Brexit minister David Davis agreed that talks on future relations will start only when "sufficient progress" has been made on divorce proceedings. 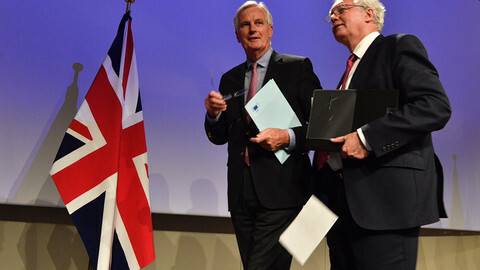 As Brexit negotiations start today with the first EU member ever to leave the bloc, the level of uncertainty on what comes next remains as high as on Brexit referendum day almost one year ago. After the celebrations around Europe of centrist Emmanuel Macron's win over far-right Marine Le Pen, the sobering years of governance are still to come. Macron might be pro-EU, but he has a lot of reform ideas that might irk others. 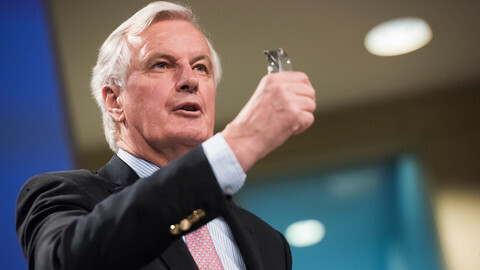 The EU Brexit negotiator warned that a customs union between the UK and EU will not be possible if the UK doesn't want to respect single market rules, and "no deal" would send the UK back to "a distant past". “We want you to stay”, British leader Theresa May told EU nationals on Monday, but the UK's "settled status" plan lacked "ambition", the EU said.